Every science, including the study of insects, may have circumscribed limits, but its deeper principles open up new worlds of possibility. Milward uncovers these hidden principles by examining the daily lives and habits of insects. His studies lead him to fascinating speculations, taking the reader into the realms not only of literature, as suggested by the subtitle, but also of philosophy and theology. When Milward discusses what everybody knows about insects and what he has personally observed, he relates insects to human life in general. His insights help us feel a certain fellowship with the insects, or at least with some of the more familiar insects. He does not let us forget that there is an important difference between human beings and insects. Human beings think. It is our ability to think that makes us what we are, but it is thinking that enables us to discover our affinity with insects. 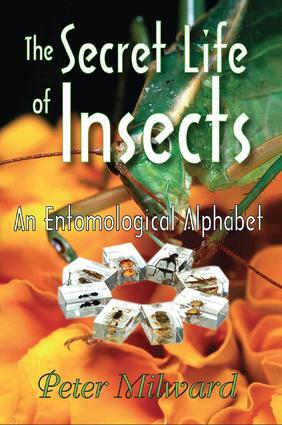 "The Secret Life of Insects" does not probe into the hidden lives of insects or treat them as individuals. His main interest is the light insects may throw on our human experience, and the assistance they may lend us as we seek to transcend our human experience. Milward aims at the level of common knowledge. In contrast to entomological scientists, Milward finds shadowy glimpses of hidden meaning in the insect world. These intimations or shadowy glimpses reveal thoughts and possibilities that will extend the human imagination. As a consequence, this work will inspire philosophers, as well as general readers interested in reflecting on the profundity of ordinary life. The Gnat is a Nitwit!